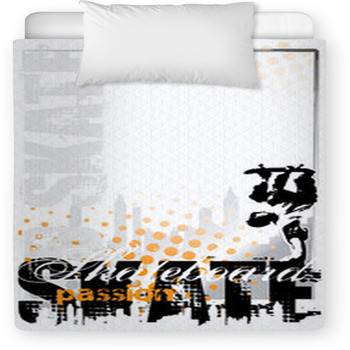 From day one you baby will have it in their blood, the love and the passion, for what else? 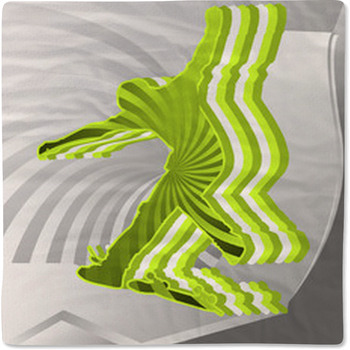 Skateboarding! 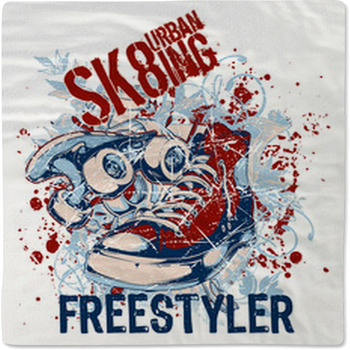 The little tyke will be rolling around on a skateboard before they even learn to walk, with skateboard baby bedding by VisionBedding. 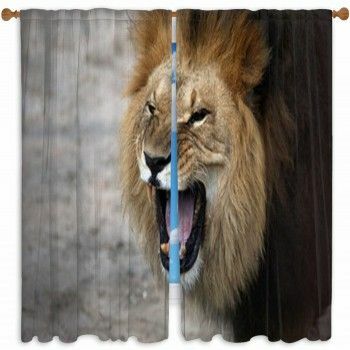 Create a unique baby decorating theme when you share you favorite sport and hobby with your newborn baby. 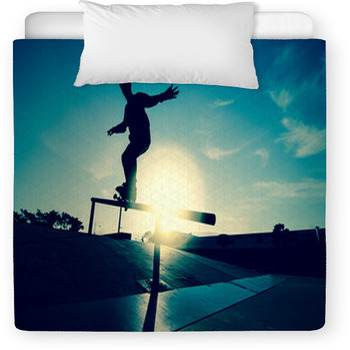 Use your own skateboarding pics and turn them into custom skateboard baby bedding that will make you your child's first hero. 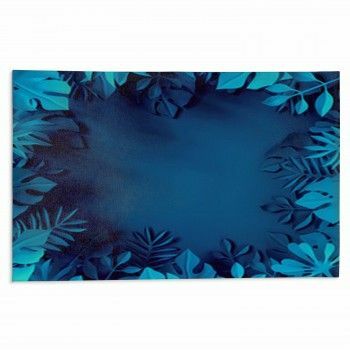 Or, use a cool skateboard baby bedding design from the gallery to show your baby all the things they have to look forward to as they get older. 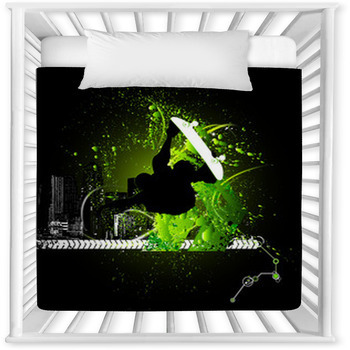 Create baby crib bumpers, blanket, pillows, and bedspreads for your special baby with a skateboard theme all over them. 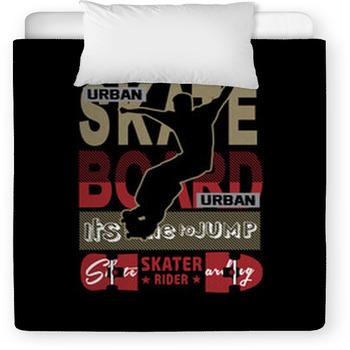 Your skateboard baby bedding will be one of a kind and your baby will love the action, colors and softness that will keep them warm and comfy all the time. 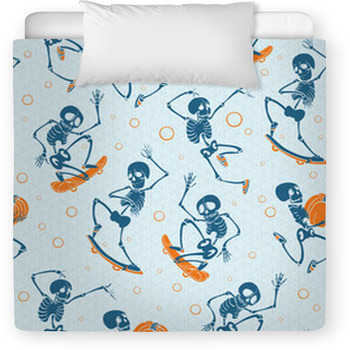 After all, a baby spends most of the time sleeping, so why not give them the coolest skateboard baby bedding to stay happy and stylin'. 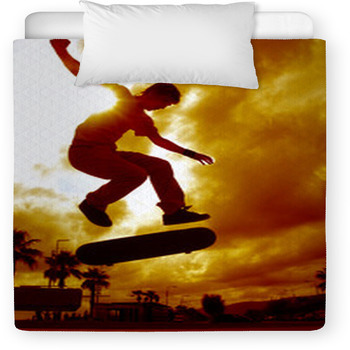 Customize and create personalized skateboard baby bedding with their own name or special message. 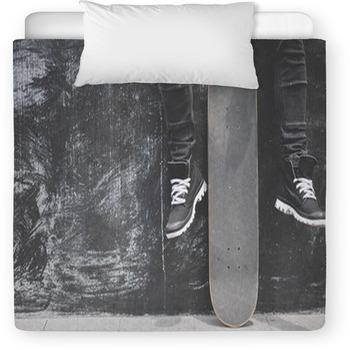 Continue your cool skateboarding baby themed room, by pairing your skateboard baby bedding with some cool baby friendly skateboard accessories, like wall art. 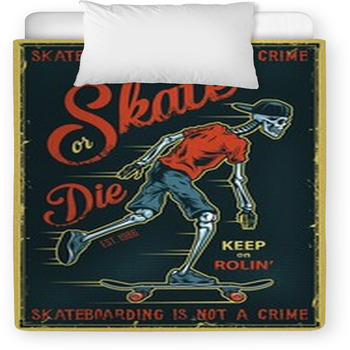 Add cute skateboard shelves made out of old or fake skate decks that match your skateboard bedding, or even make create a skateboard fan for your baby's room by replacing the old blades with skate decks. 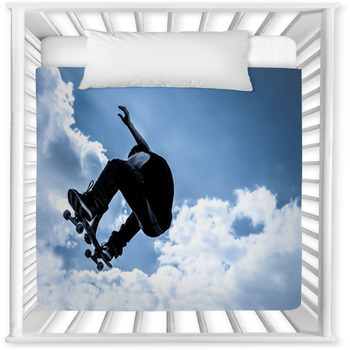 Your skateboard baby bedding will be the hit with all your friends and family and most importantly your cute little baby.